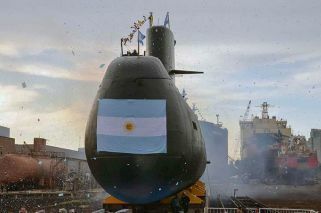 The submarine vanished on November 15 off Argentina’s Atlantic coast. It had 44 officers aboard at the time. The ARA San Juan submarine that went missing last November imploded in a matter of 40 milliseconds, a US Office of Naval Intelligence (ONI) report has suggested. 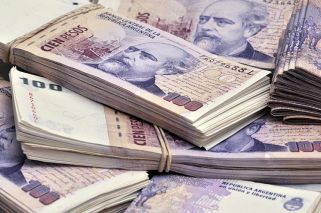 The Argentine Navy told Perfil that it “has nothing to say” about the US report. “We received this information via social media but it is not ours. For that reason, we will continue to operate as normal”, the Navy said. In a report published in French newspaper Le Monde, ONI linked the disappearance with a sound detected on November 15 at 400 metres below sea level, an explosion they suggest was the equivalent of six tonnes of TNT exploding. The ONI believes the officers on board were killed instantly. To date, the strongest hypothesis about the ARA San Juan's fate suggests that water entered the snorkel of the submarine and caused one of its batteries to short circuit. In November, the Navy indicated that before the submarine went missing, its captain reported an electrical problem in a battery compartment and the vessel was ordered to return to its base in the coastal city of Mar del Plata, about 400 kilometres southeast of Buenos Aires. The Navy has begun winding back its search efforts and a number of international collaborators have withdrawn, to the dismay of officers’ relatives.